I've got to tell you that as a parent I truly despise having little LEGO® pieces everywhere around my house however I LOVE the inspiration that playing with LEGO®'s can have on a child. We currently own more LEGO® sets than I would have ever believed possible and I think its great! LEGO®'s are a great way for your child to learn while playing at the same time. 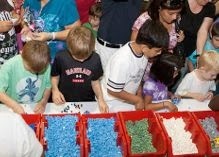 I'm excited to announce that LEGO® KidsFest will be coming to Michigan and A Lucky Ladybug will be attending! LEGO® KidsFest is returning to the Suburban Collection Showplace in Novi, MI, April 25 - 27, 2014! LEGO® KidsFest brings all of the creative hands-on, minds-on fun of LEGO® building and experiences together in one activity- and entertainment-packed family event for children of all ages and builders of all skills and interests. 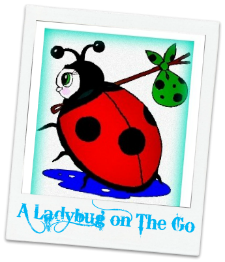 Giveaway: US Family Guide is going to give one of A Lucky Ladybug's lucky readers (2) tickets to attend on Friday April 25, 2014 (4-8:30pm). Enter through this link!